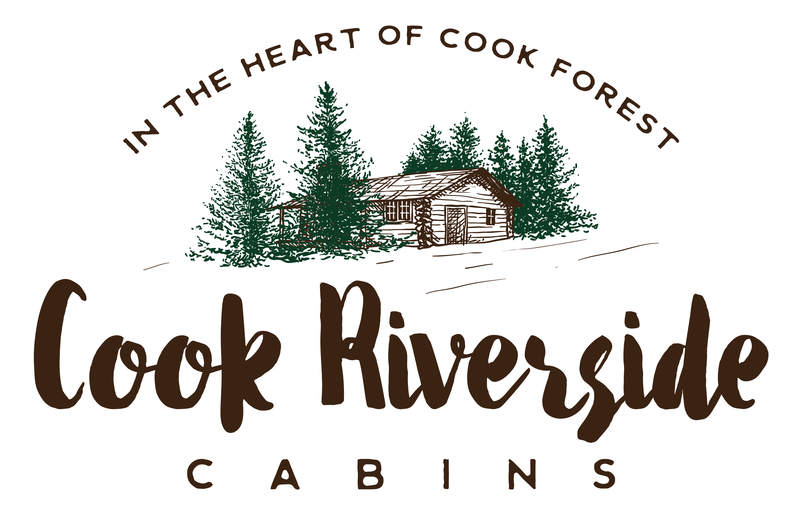 Cook Riverside Cabins | ... in the Heart of Cook Forest! Cook Riverside Cabins features cabin, cottage, and vacation home rentals in the heart of Cook Forest State Park next to the ‘Wild and Scenic’ Clarion River. Our Cabin 1 was the first rental cabin in Cook Forest! Relax and enjoy the nature and history without the fuss. We provide dishware and utensils, microwaves, coffee makers, toasters, along with major appliances, TV with DVD player, and bed linens, so you have comforts of home without having to pack it all! WiFi available onsite at the Pale Whale where you enjoy a 50% discount on canoe, kayak, and tube rentals. Shop at the Cooksburg Dry Goods Gift Shoppe and enjoy angus burgers and ice cream at the Cooksburg Cafe. Don’t miss our 2019 Winter Specials when you stay from January 2, 2019 through April 30, 2019! All who have visited Cook Forest State Park know it is one of the best kept natural secrets with it’s towering white pines and hemlocks set on 8,500 acres of scenic beauty! Perfectly located, Cook Riverside Cabins is in the center of all the park has to offer. Come hike, fish, swim, or simply relax by your campfire! You have easy access to Pale Whale Canoe Fleet, the Cooksburg Cafe, and the Cooksburg Dry Goods store which are all on site. So gather your friends and family to plan your getaway today!